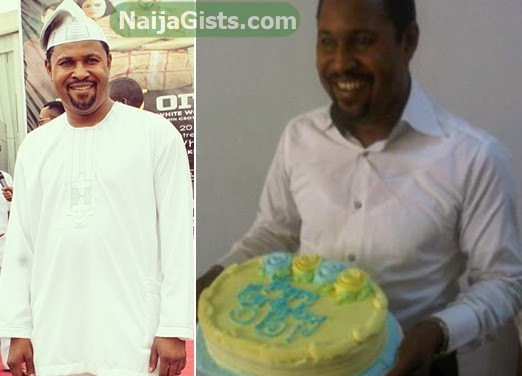 Talented Nollywood movie producer Saheed Balogun also called Saidi by his fans is a year older today. The popular movie director was born in Kwara state on the 5th of February 1968. The father of three was brought up in Ibadan, the capital city of Oyo state. After the completion of his Primary and secondary education in the ancient city, he proceeded to Kwara State Polytechnic in Ilorin where he studied Statistics. Saheed Balogun’s birthday celebration will rock Ibadan on Friday the 21st of February. The venue of the event will be announced soon. Omo ibadan kini so. Ekun orire o. Ase pupo odun laye o. Another celebrity I love a lot. Thanks for being you. hbd wishing him more prosperous yrs on earth in gud health. I beg people told last year that he was 47 how come that he turn 46 this year? what go up must surely come down…. 47 to 46. Happy B’day Saheed. igba odun, odun kan ni o . i can see u re a happy man. but i bet u “ll be more happier if u live tegether with ur wife and kids together again as one. Think about it! Happy is all your days, congratulation and i wish you more of it on earth. Saidi the talking machine happy birthday, hope you’ll moderate your excesive talking habit in the coming years. God Bless.